This tour commemorates Violette Szabo and her wartime service, dedication and all the other brave women and men of the Special Operations Executive. 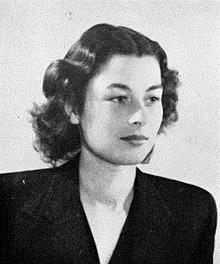 Violette Szabo was one of the unseen heroines of the Second World War. She along with thousands of other brave women and men, joined the Special Operations Executive (SEO) F.A.N.Y. SEO was designed to support resistance activities and engage in behind enemy lines harassment, sabotage and subterfuge. These brave women and men put their lives on the line to try and ensure victory. Violette was one of 13 women and 91 men of the service who made the ultimate sacrifice whilst aiding the liberation of France. (1)The Violette Szabo Museum, Wormelow Tump, Herefordshire. The Violette Szabo museum is located in the home of her Aunt and Uncle. During Violette’s childhood and SOE training she visited her relatives regularly. This museum is a lasting tribute from her family and contains many interesting items and documents about Violette and the service of the Field Aid Nursing Yeomanry. From the age of 11, Violette lived in Stockwell. Here we can see a mural dedicated to Violette’s memory and the Blue Plaque on the house in Burnley road which she grew up. Violette Bushell was born in Paris in 1921 to a French mother and British father. The family settled in Stockwell when Violette was eleven years old. As a child she excelled at sports and detested household chores. She left school aged 14 and at the start of the war was working as a shop assistant. In 1940 Violette met Etienne Szabo, an officer in the French Foreign Legion. They fell in love and married on 21st August 1940. In June 1942 Violette gave birth to their daughter, Tania. By this time Etienne’s unit had been deployed to North Africa. He was never to see his daughter, dying from wounds sustained at El Alamein in October 1942. The Carpetbagger Covert warfare museum based at RAF Harrington. The SEO had a very broad remit. They were tasked with: providing support to resistance groups across Europe; sabotage; espionage and extracting POW’s, agents and dignitaries from occupied territories. From their headquarters in baker Street, London, agents were assigned training suited to the needs of their missions. This training took place at numerous locations around the United Kingdom. For example, SOE had a camouflage training unit within the Natural History Museum; parachute training at several airfields; Stodham Park in Hampshire trained agents in the use of enemy weapons and commando training was undertaken in Inverness-shire. On 7th June 1944 Violette Szabo was dropped into France for her second mission. She landed at Les Clos, near Mont Gargan in the Limousin region. Her mission was to work with the local resistance in hindering the Germans in the area. The mission was short lived. On 10th June, Violette was in a car with a leader of the local resistance. German troops spotted the car and were immediately suspicious. Violette ushered the resistance leader to safety whilst providing covering fire. At around midday she ran out of ammunition and was captured by the Germans. In the Limoges region we will visit a number of sites involved in Violette’s story. We will visit the memorial cross that marks the point where Violette landed on in June 1944. After landing Violette was taken to the village of Sussac. Here she was given safe accommodation above the grocers shop in the town centre. We will visit the village and talk to locals who know the story of Violette very well. At Salon-La-Tour the tour takes in the location of the gun battle that ultimately led to Violette’s capture. Following her capture, Violette was taken to the nearby town of Limoges. Here she was initially held in Limoges prison, where a plaque commemorating Violette can be seen. We will also visit the location of the local Gestapo Headquarters where she was taken for interrogation. On June 10th 1944, the same day that Violette Szoba was captured, an infamous event took place just some 20 kilometres away. Men of the Waffen SS entered the town of Oradour-sur-Glane. They proceeded to seal all exits from the town. The Mayor was instructed to arrange for the entire population of the village to attend an identity check at the site of the fairground. In late afternoon, with nearly all inhabitants of the town present, the SS separated the men from the women and children. The men were taken to 6 different locations around the town, whilst the women and children were taken to the church. In the early evening the SS detonated explosives inside the church. Machine gun fire followed into each of the locations that the men had been taken to. The SS then entered the buildings and shot anyone they thought had survived before setting several of the buildings alight. 642 people were killed in this massacre. The village of Oradour-sur-Glane has been preserved by the French government as a monument to those who died. We will walk through the village and see the sites at which the massacre took place. Time will be made available to enter the Oradour Visitor Centre, located in the new town of Oradour, or to reflect on the events of 10th June 1944. Following four days of Interrogation in Limoges, Violette was taken to Paris. Here she was held at Fresnes prison and interrogated at the Gestapo Headquarters at 84 Avenue Foch. On route to Paris we will, if time allows, stop at the Valençy SOE Memorial. This memorial records the names of the 13 female and 91 SOE agents who died whilst serving to liberate France. 82-86 Avenue Foch were requisitioned by the Gestapo upon the German capture of Paris. The building was used by the counter-intelligence branch of the Gestapo. It was here that captured SOE agents were taken for interrogation. The Gestapo also ran its wireless based counter-espionage from Avenue Foch, sending bogus messages on captured wireless devices. We will spend time at Avenue Foch reflecting on the role of SOE and the sacrifice they made during the liberation of France. After several weeks of interrogation, Violette was placed on a train to Saarbrucken transit camp along with other prisoners bound for POW and concentration camps. As the train made its way towards Germany it was attacked by the RAF. Survivors of the incident have told of how Violette managed to ease the suffering of some British officers who were injured in the attack. From Saarbrucken, Violette, along with two other French Section SOE operatives, Denise Blotch and Lillian Rolfe, were transferred to the women’s concentration camp at Ravensbruck to the north of Berlin. This section involves a fairly lengthy journey on to North Berlin. We are unsure whether to include it or not. We will judge your reacation. We are still working on costing. We will spend a day at the Ravensbruck Memorial Museum which is based in the grounds of the former concentration camp. A dedicated visitor centre is located in a former camp building. We will have ample time to look through the centre. Different parts of the camp are dedicated to various aspects of the camps history and inmates. These include documents, drawings and artefacts donated by survivors of the camp and items relating to the SS guards. Violette Szabo arrived at Ravensbruck in August 1944. From here she was at various times moved to smaller camps, such as Torgau and Konigsberg. Here she, along with other inmates, was used as force labour on the construction of a new runway. In January 1945 Violette and the other female members of SOE were returned to Ravensbruck. Soviet forces were advancing into Germany. The decision was made to execute SOE agents to prevent them being liberated. Sometime between 25th January and 5th February 1945, Violette and 3 other members of SOE were executed in the Crematorium yard at Ravensbruck. Our Violette Szabo memorial tour is a most humbling experience.